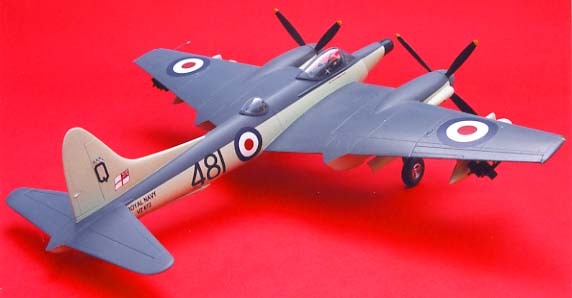 The Hornet was a development on the lines of the Mosquito but to smaller proportions and it served with the RAF from 1946 to 1955 it was also developed for the Royal Navy as the Sea Hornet and is the subject of a this Dynavector release. 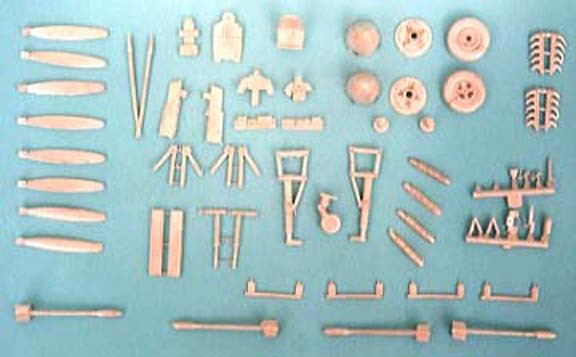 The kit comes as two vacuformed sheets with finely moulded main components plus a bag of white metal parts which include the undercarriage, props and spinners, cockpit details, radiators and rockets plus many other tiny pieces. 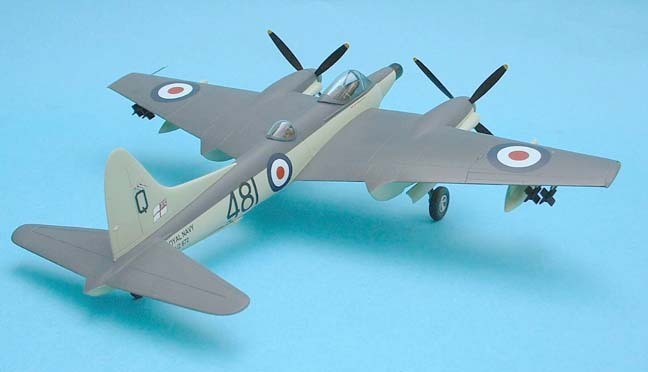 Two canopies are supplied for those who make a mistake and a decal sheet covering two F20 machines and one F21, the instruction sheet seems pretty basic but all you need to know is there, of course you must be a fairly experienced modeller to have bought one of these kits as they are not for first timers. I feel there is no need to go into removal of components from the sheets again here as you may well be aquainted with my methods and an equally good description is on the instruction sheets with diagrams. 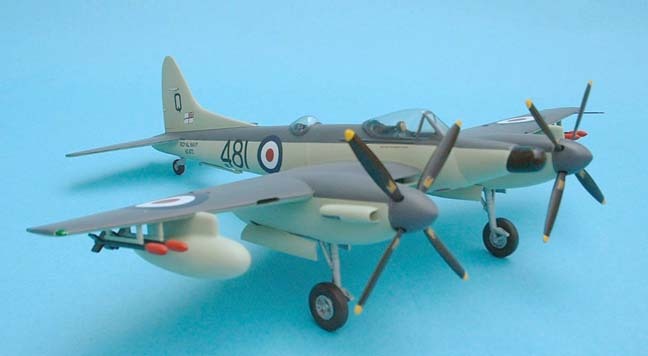 As mentioned there are two versions included so you need to make up your mind early which to do as you need to cut the long nose off the F21 and use the short replacement provided. After making up the pilots cockpit, the observers station and painting the interior of the fuselage around the cockpit areas I added the stiffener as recommended and some tiny 20thou plasticard tabs along the edges of each half of the fuselage, arranged so that they interlaced, at the same time I cleared the holes for the tailplane support and cut out the tailwheel bay area. As I intended to use the cannon nose I lightly scored the area to be removed but did not detach it until the fuselage was hardened off, all the bits were mounted inside and the halves cemented and taped up until hard, a point to note here, never tape up before cementing as the cement can easily creep under or along the tape and ruin your surface undetected. 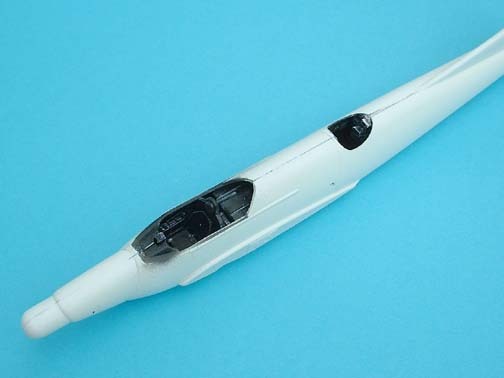 Whilst waiting I had a dry run with the engine nacelles and wings which seemed perfect but I found later that the Radiators were a tight fit at 3mm back from the lip. 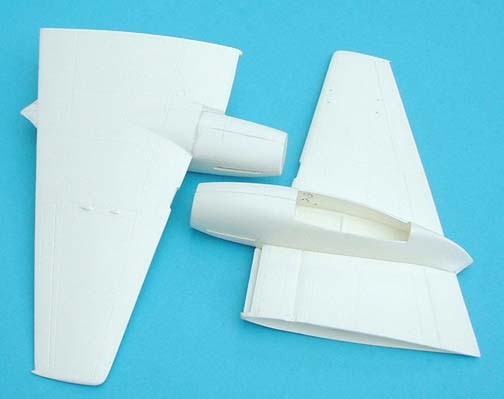 The wing stiffeners were added, heeding the warning about the choice of cement, and I adjusted the wing so the intake lips were parallel then slid the radiator in from the side as close to the front as possible and superglued it at the same time checking to see the appropriate nacelle half was a good fit. By now I decided not to remove the lower gun bay area and so I added the tailplanes at this time also when the joins were cleaned up the wings were added taking great care to get the dihedral correct, I do this by mounting the fuselage on a mound of blutac and checking the fin is vertical with a set square, the wings are then propped up until the ends are equally at the correct height, leave over night and all should be well. 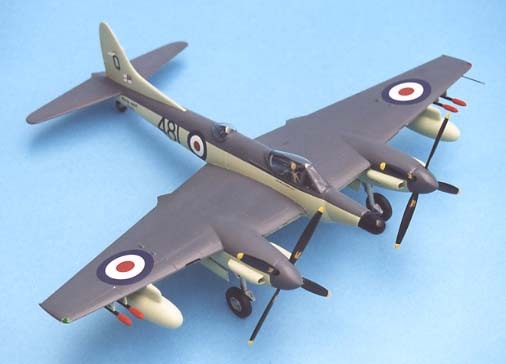 The remainder of the work was as per instructions and quite easy then after checking all the joints I was ready to spray, I chose the camouflage scheme and sprayed the nose radome first of all with Revell satin black which was then masked off. The extra dark sea grey was done first as this was the easiest area to mask up when dry, I now sprayed the Sky areas. 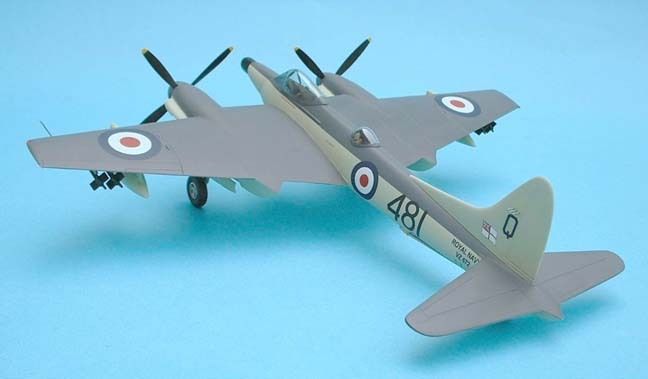 The whole model was dusted with a couple of coats of Johnson’s Klear to seal it before adding the decals, not too many of those on this aircraft, then another coat of Klear went on and all the remaining parts were added. 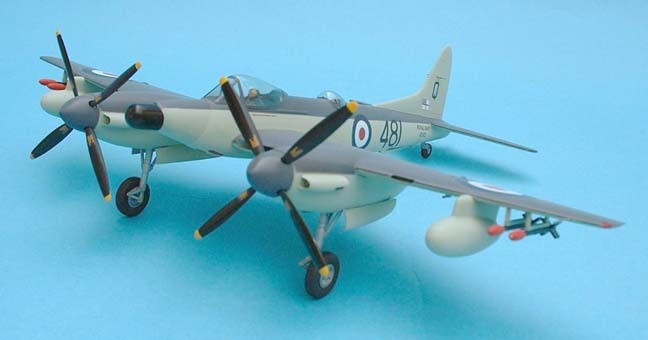 A final flat coat brought the finish back to a soft sheen and then the canopies were unmasked, it was finished except for the tiny dorsal aerial which I made from yellow stretched sprue. A beautifull little model that I am quite proud of.